Being a customer oriented organization, we are deeply engaged in offering a wide array of Natural Diamonds. Good quality of Diamond Gemstone is offered by us to our customers at pocket suitable rates. Diamond Gemstone is extensively used for adornment a usage which dates back into antiquity. Diamond Gemstone is available in market in various sizes and highly demeaned all across the country due to their elegant look and designs. For the complete satisfaction of the clients, we are involved in providing extensive array of Polki Diamond. 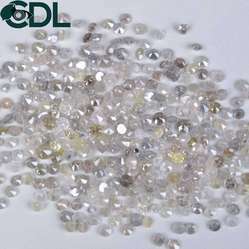 This Polki Diamond is recommended by our valuable clients die to its perfect cuts and ever glowing shine. Also, we offer this Polki Diamond to the client at most reasonable rates. 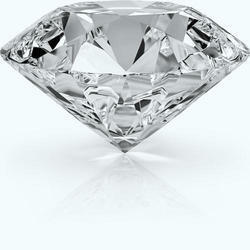 Being a well-established organization, we are engaged in offering a distinguished range of Loose Diamond. cut: heart cut, marquise cut, pan cut, cushion cut, etc . Size: 0.05 ct. - 0.70 ct.
Add value to your creation with our ideal cut hearts and arrows diamonds. Hearts and Arrows phenomenon is achieved by perfect alignment of crown and pavilion facets and requires exceptional accuracy and symmetry. We are capable of achieving hearts and arrows even in the smallest of our diamonds. Hearts and arrows diamonds are made to order.